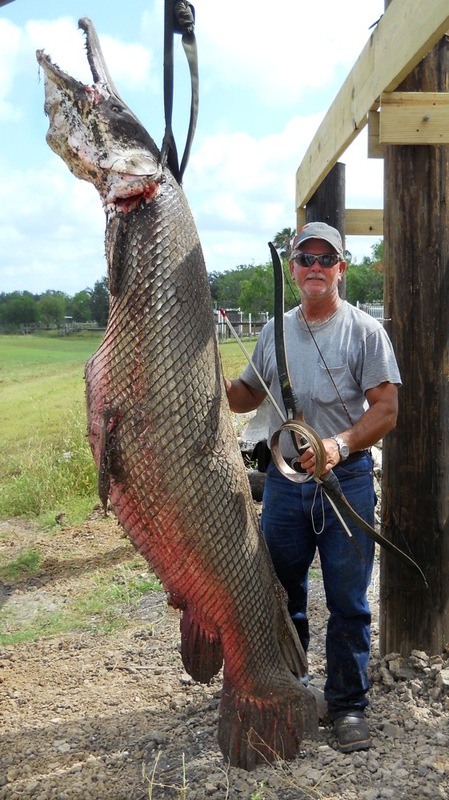 -See photo and link for the story of a giant alligator gar (Atractosteus spatula) that was recently bowfished in Texas. This alligator gar is one of the largest in recent history (over 8′ long and over 300 lbs), even though an accurate weight could not be determined. Information is not provided as to whether or not the large female gator gar had already spawned by the time of capture (it was bowfished out of a spawning group); it would be unfortunate to lose those good genes from the pool. It would also be interesting to analyze aging structures (otoliths, scales) from the individual to determine how old this fish was (alligator gars have been aged to over 70 years). This fish at least gives hope that there are still monster alligator gars still out there…and hopefully those beasts are able to evade capture for many more years. No images may be reproduced without direct permission of the author.